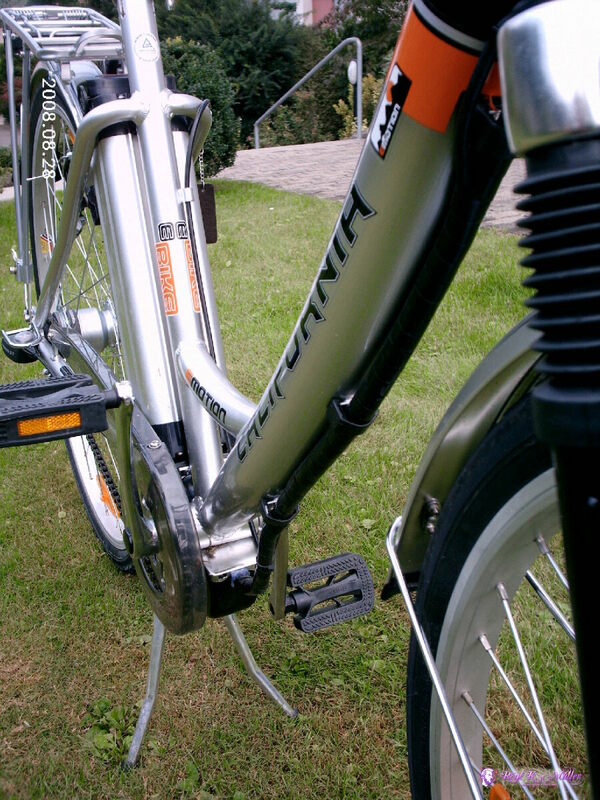 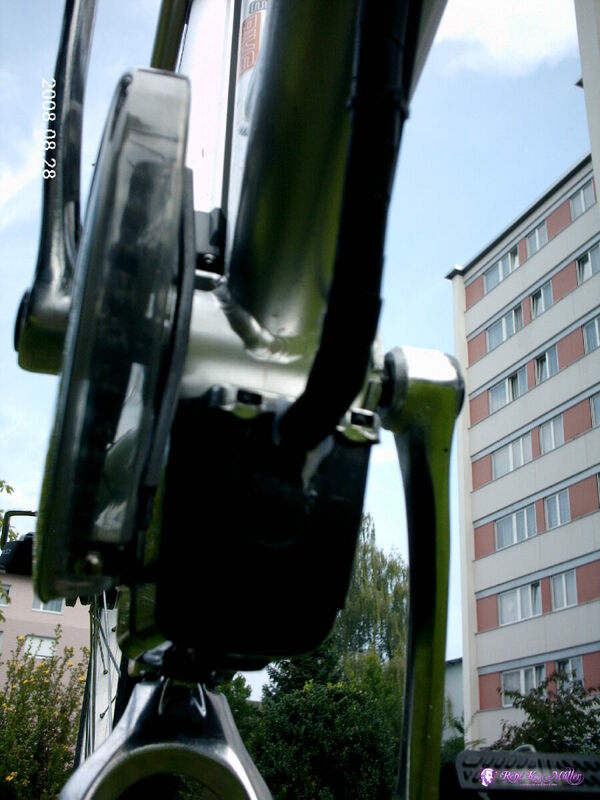 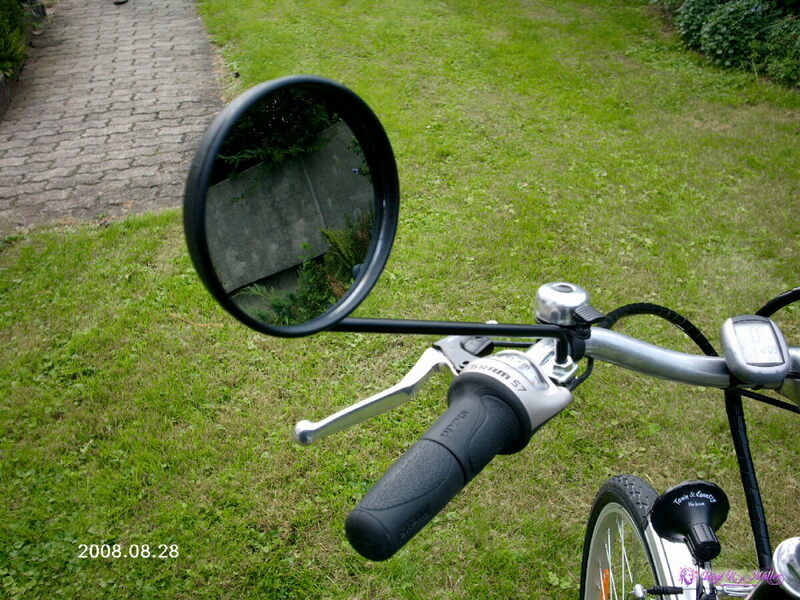 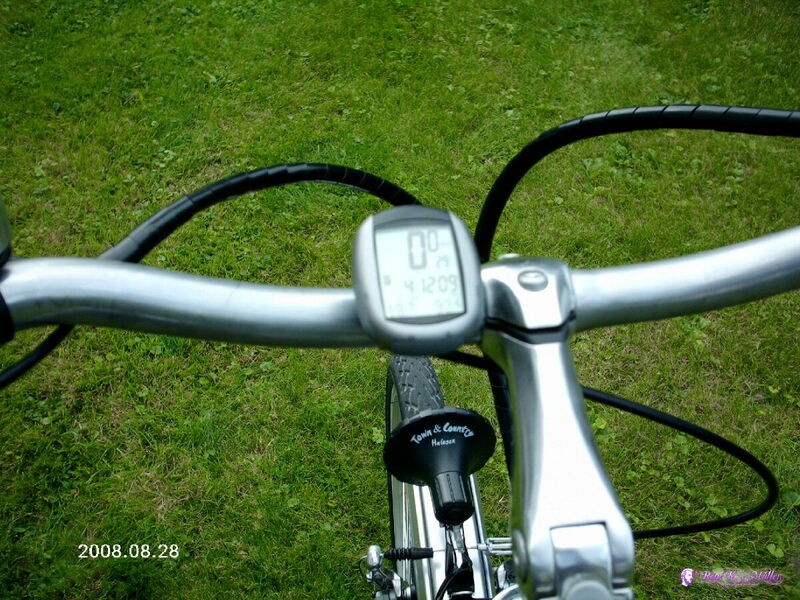 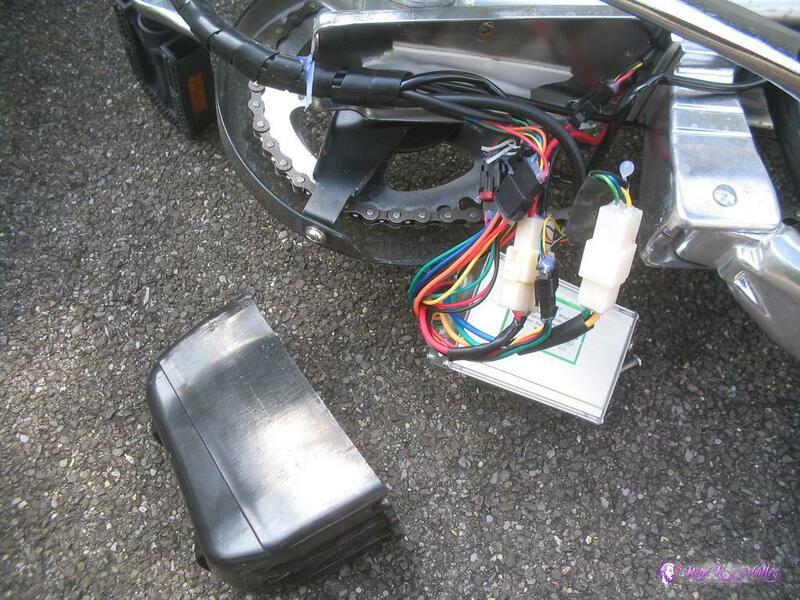 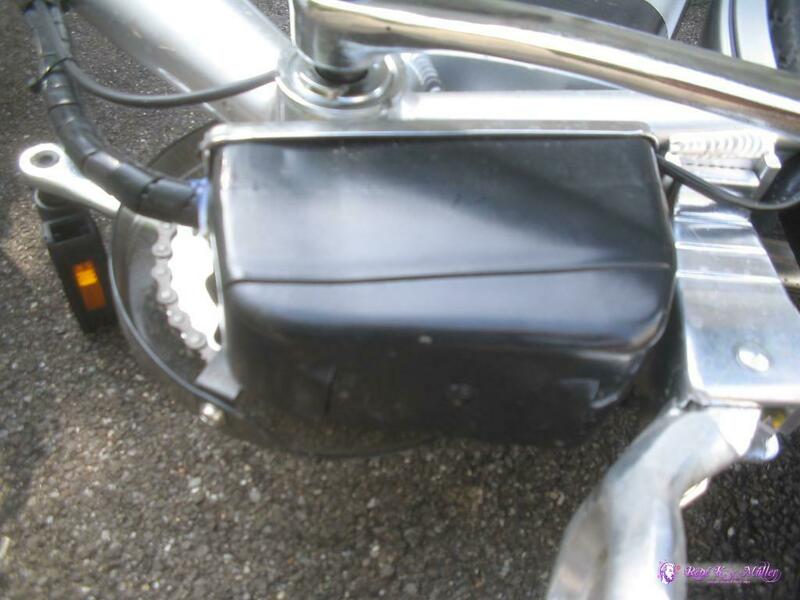 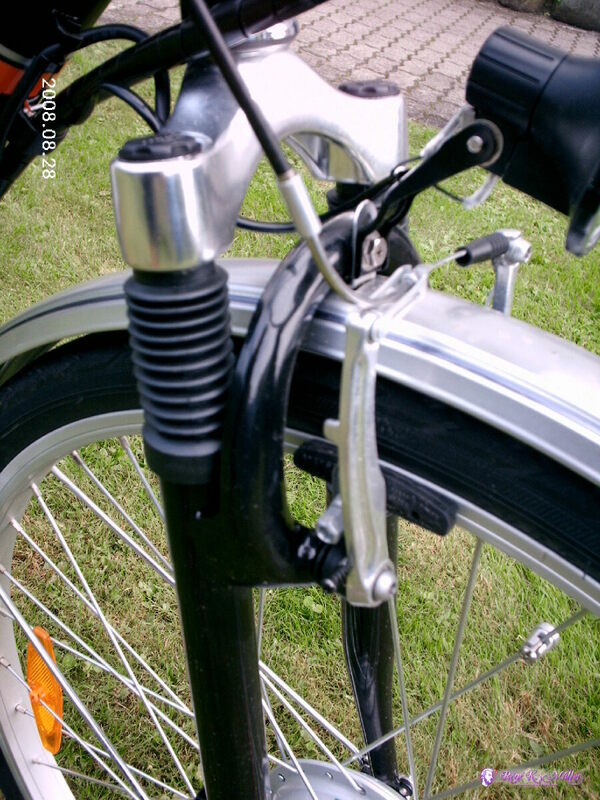 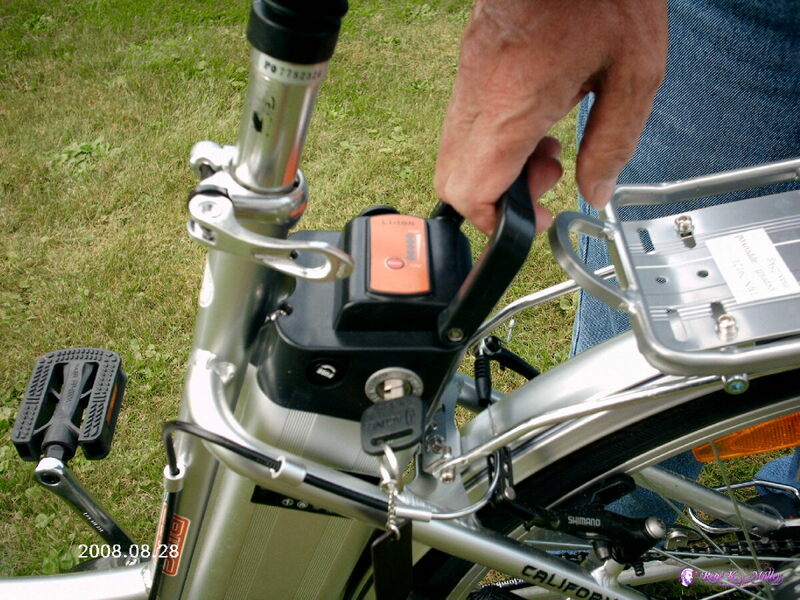 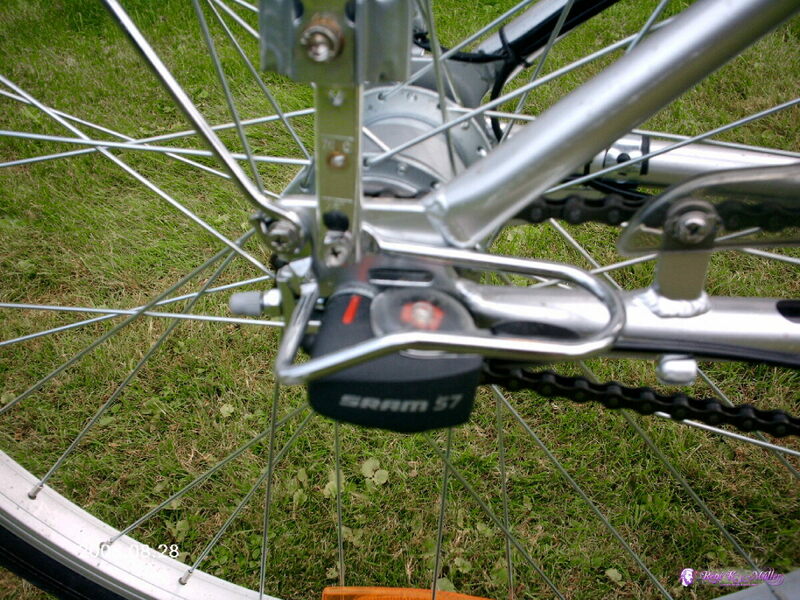 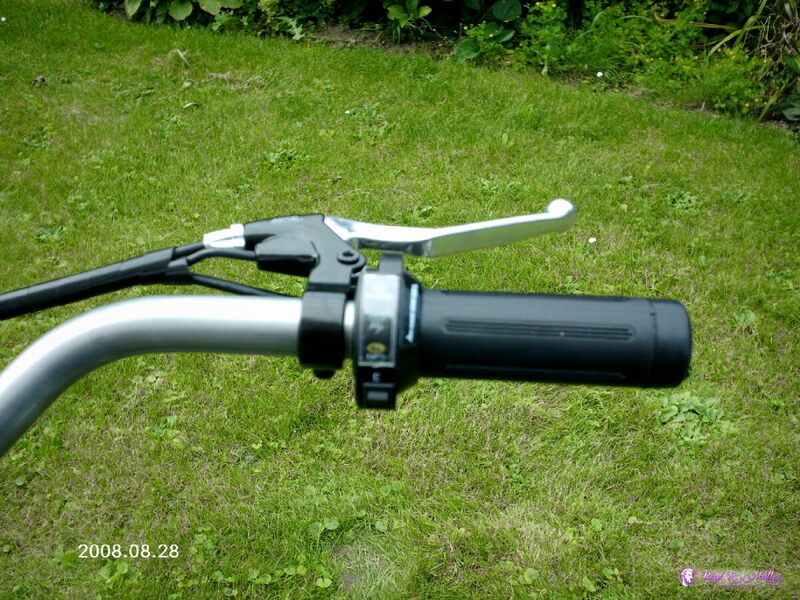 Fri, August 29, 2008: First version of e-bike with photos and opening the control electronic box. 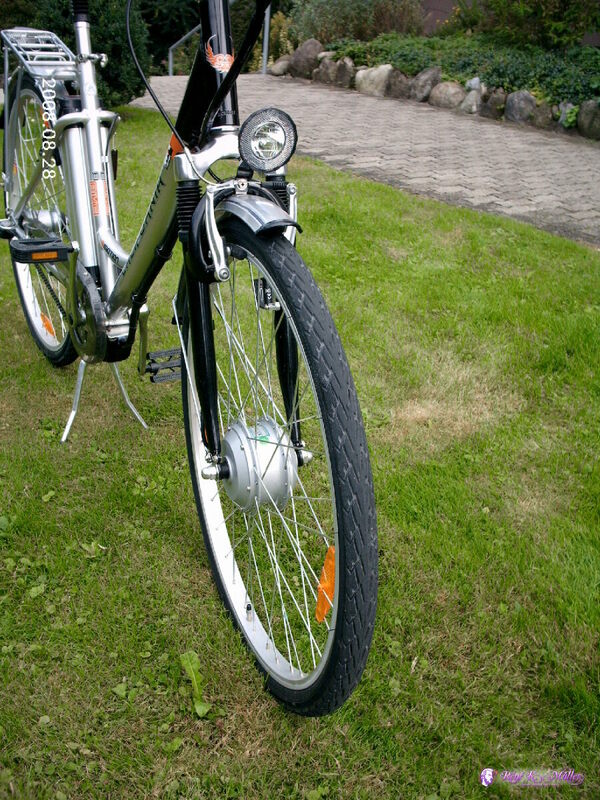 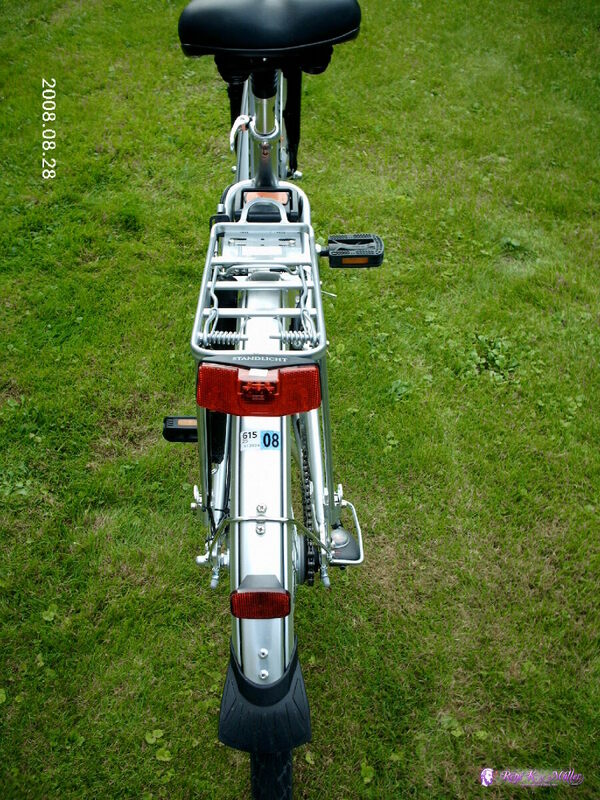 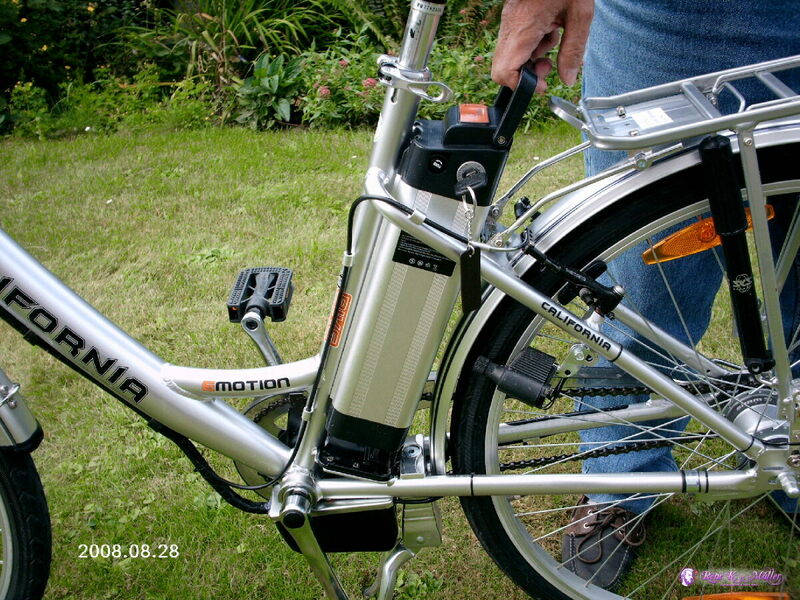 The "E-Motion California" (also known as "ALU REX e-bike") is a low-cost e-bike (electric assisted bicycle) sold in Switzerland by Jumbo (2008/08) for CHF 1,490 (apprx. 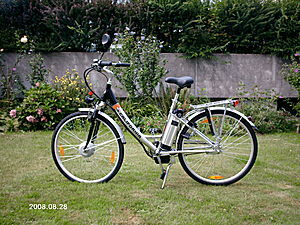 € 930). 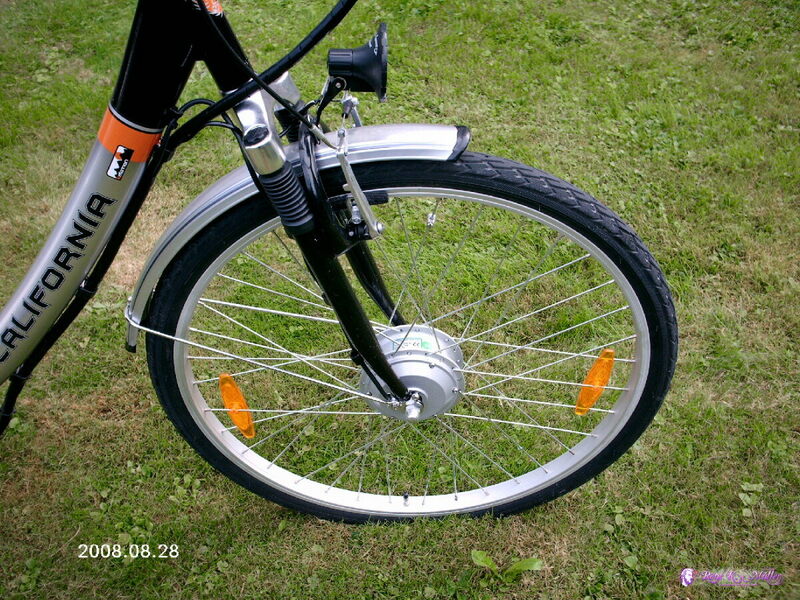 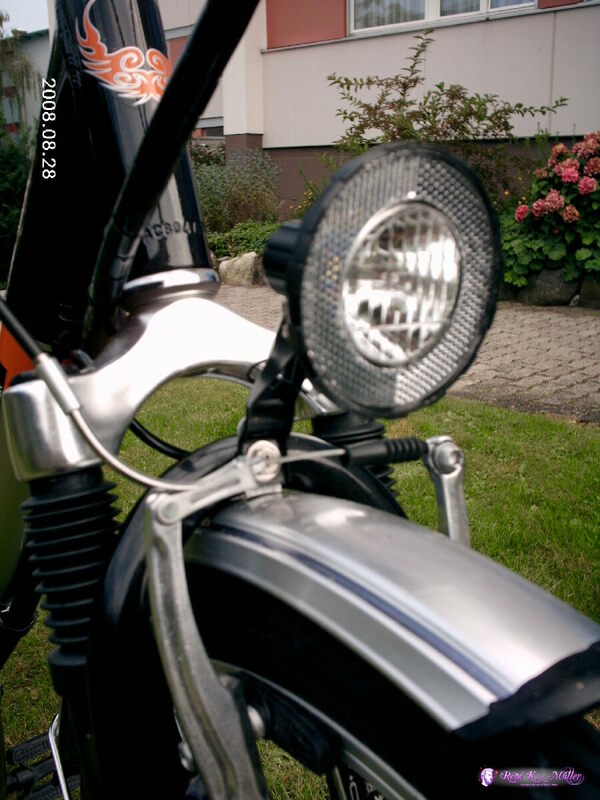 It's the 2nd generation sold by Jumbo (Switzerland), the 1st generation was available for CHF 1,200 and then later for CHF 666 (€ 420) as blow-out. 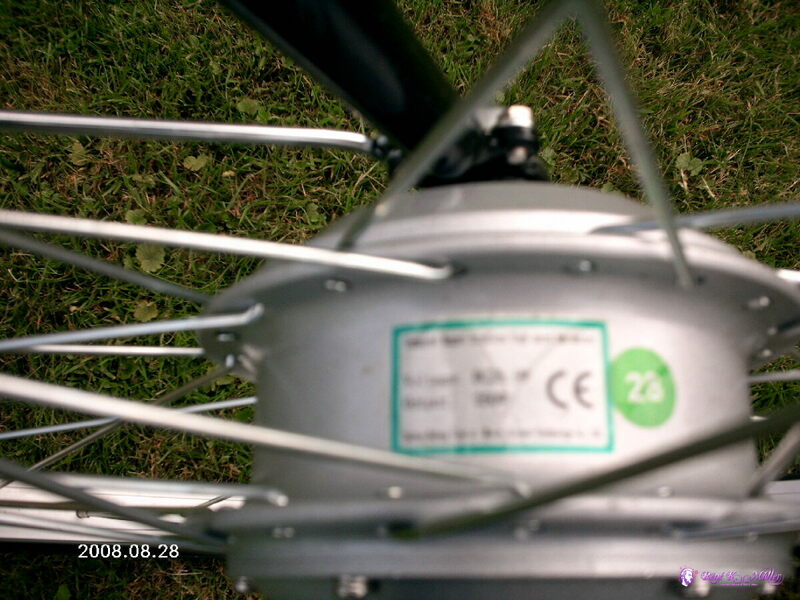 It got rather bad reviews due limited range and weak motor (Kassensturz 20.05.2008 ). 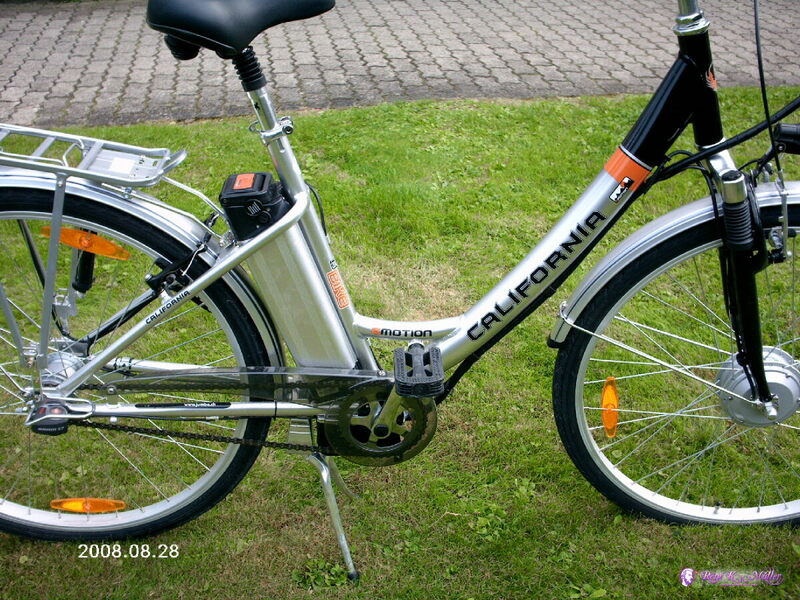 The worst ebike discovered through the test was also the cheapest: California E-Motion 28" for CHF 1490, bought bei Jumbo. 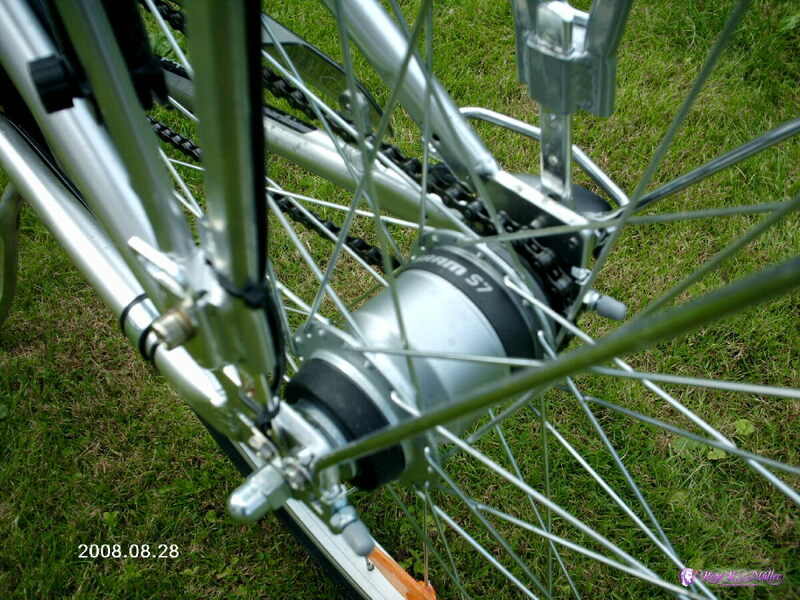 Criticism: insufficient bicycle quality and configuration. 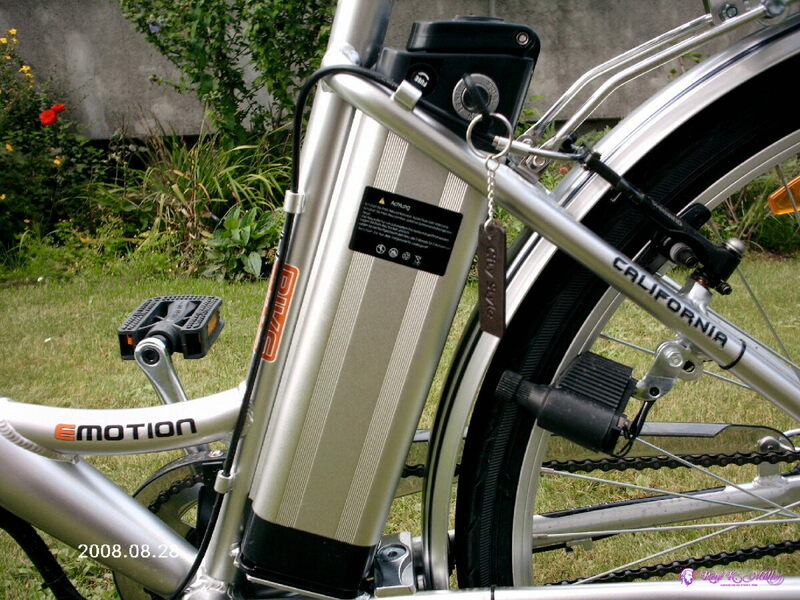 Jumbo said, their ebike was meant as entry model. 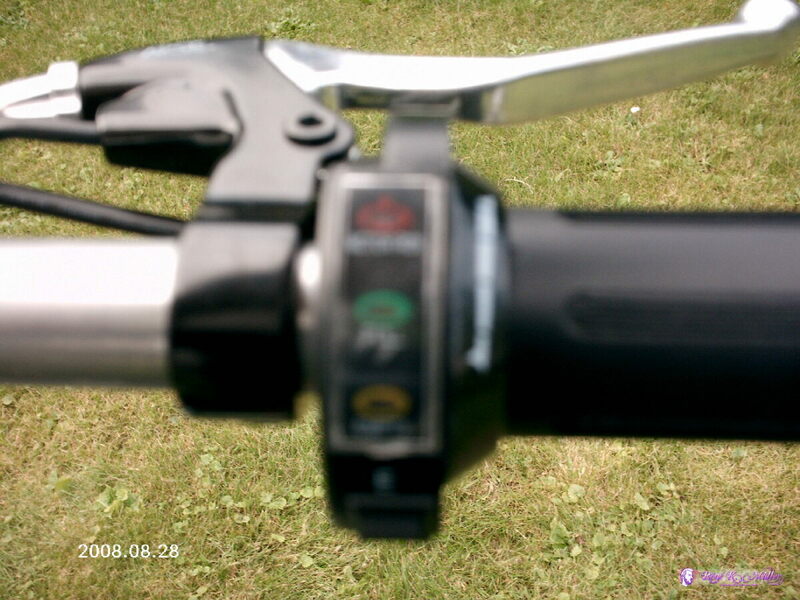 I used another photo-camera which didn't focus on the spot but in the background, so some details remained blurry, but I publish them nevertheless. 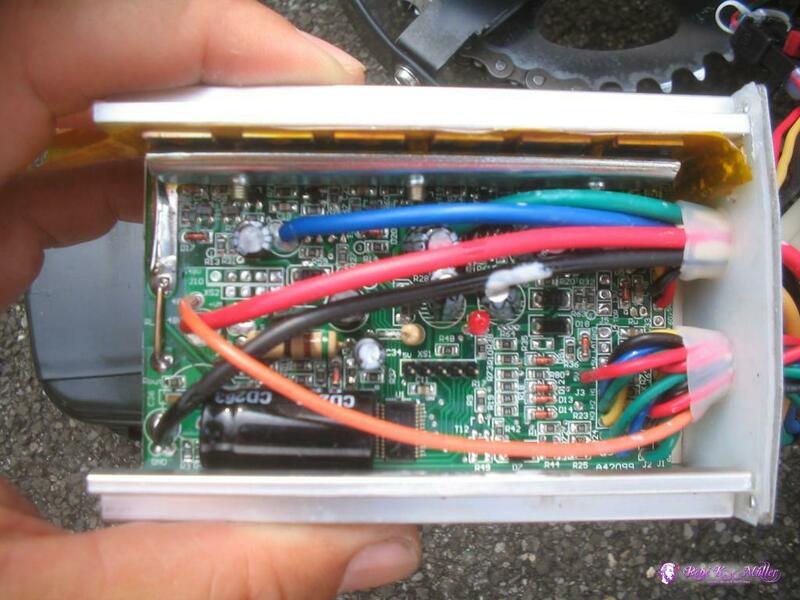 quality of this ebike isn't promising, I suspect over the next 6 months another replacement of the battery is required, apprx. 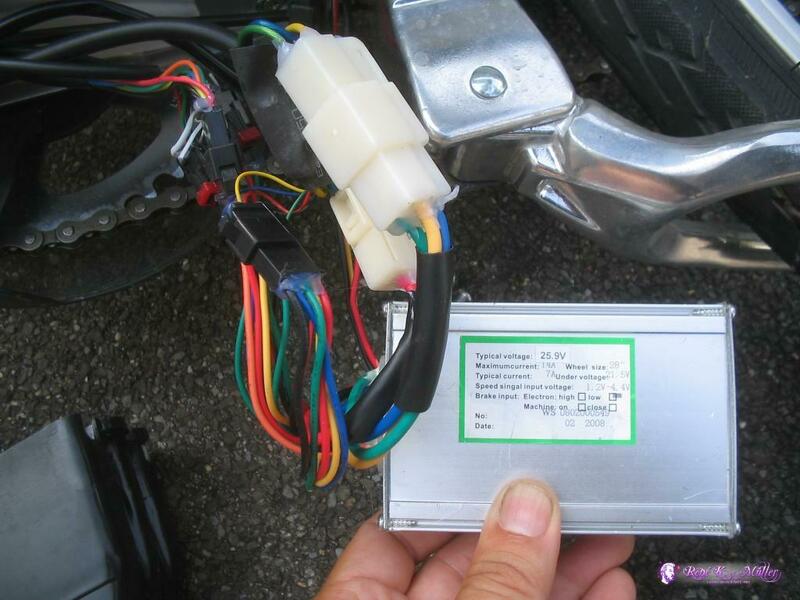 CHF 1000 cost in 12 months for 2 battery replacement (a CHF 500) unless they offer free replacement again (which would be nice, but that's something not to rely on necessarily), so apprx. 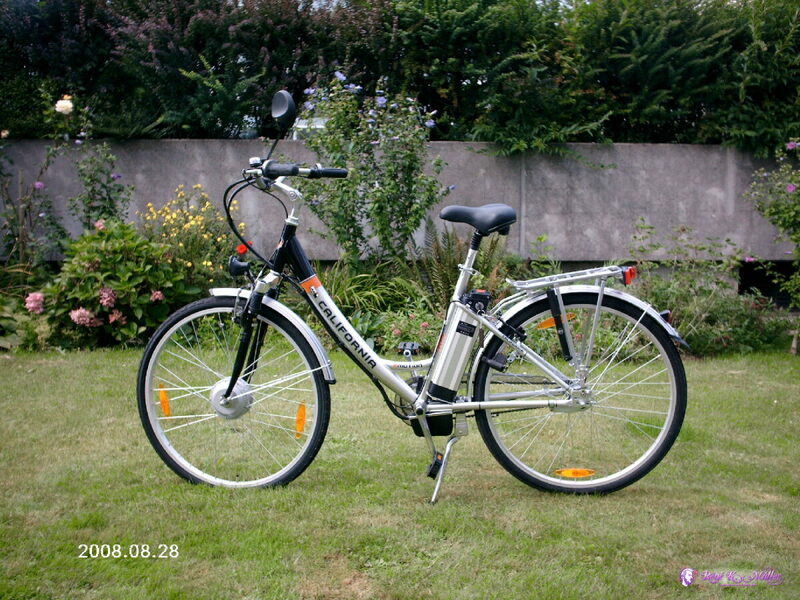 CHF 83.00 monthly battery cost, which is way to high otherwise. 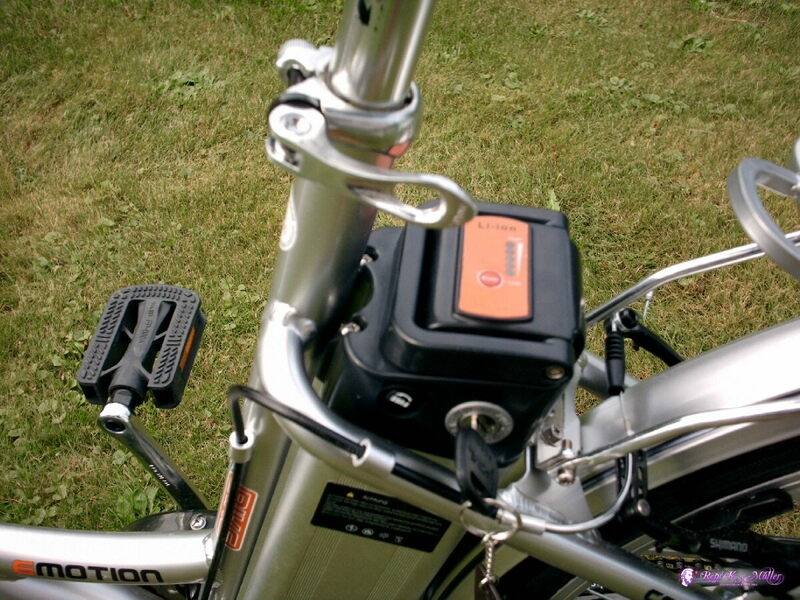 The drive has some control device which handles the current for the front drive, we opened the box in order to see if we can adjust the speed limitation where the front drive stops, which is by default at 23.9km/h according the bicycle computer. 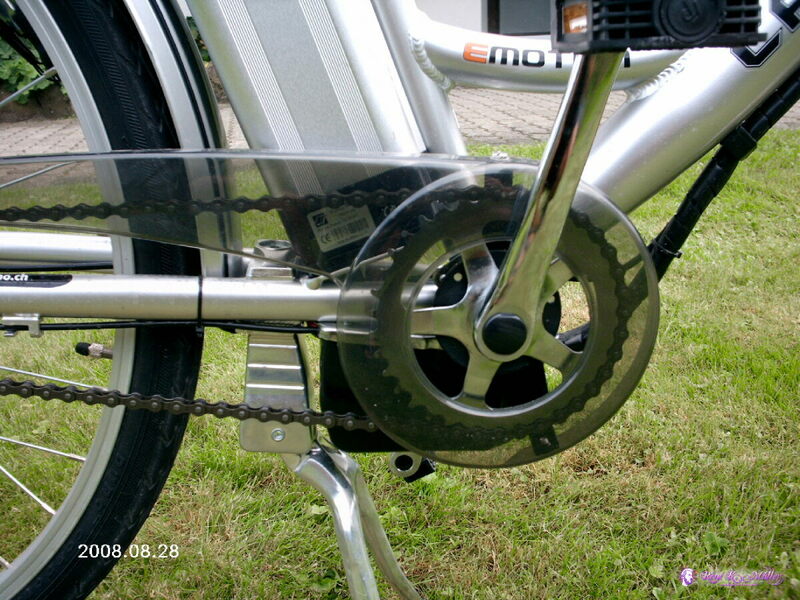 In Switzerland ebikes are allowed to assist up to 25km/h in order to stay as bicycles, otherwise require a plate and a motorcycle driver license if it assists faster than that. 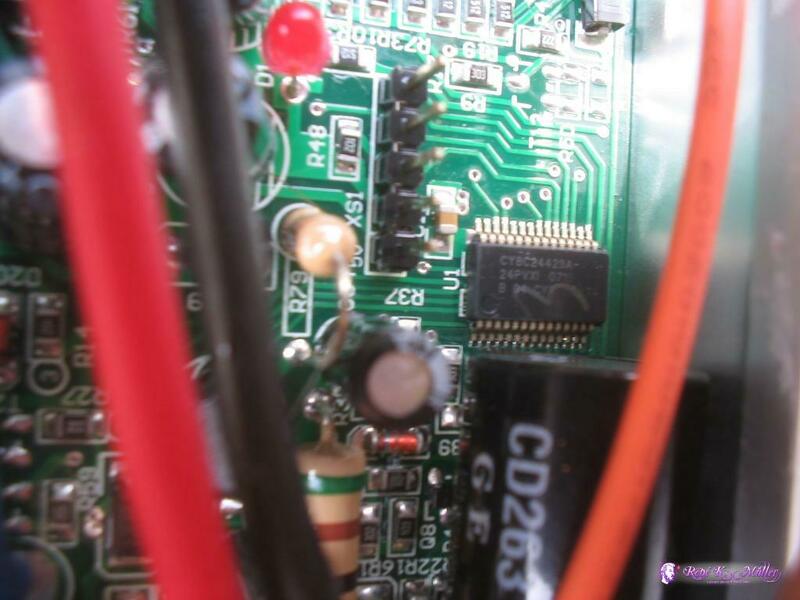 We didn't find a potentiometer, but a 5-pin connector, likely a serial interface for the microcontroller (CY8C24423A 24PVXI 07).